Located one hour west of Corpus Christi in south Texas. 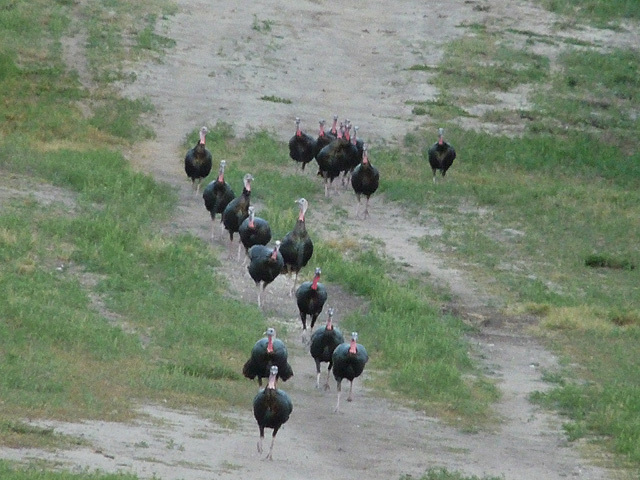 I did my recon visit in December 2013 and was impressed with the number of turkeys I saw. I would highly recommend this hunt to anyone looking for a place that holds a lot of Rios. I have personally known the outfitter for 40 years - he will have you into turkeys. In addition to a year round feeding program, the ranch has water, large roost trees and an aggressive predator control program. A second ranch was added in 2018. The total acreage between the two ranches is over 13,000 acres. Hunts are unguided. 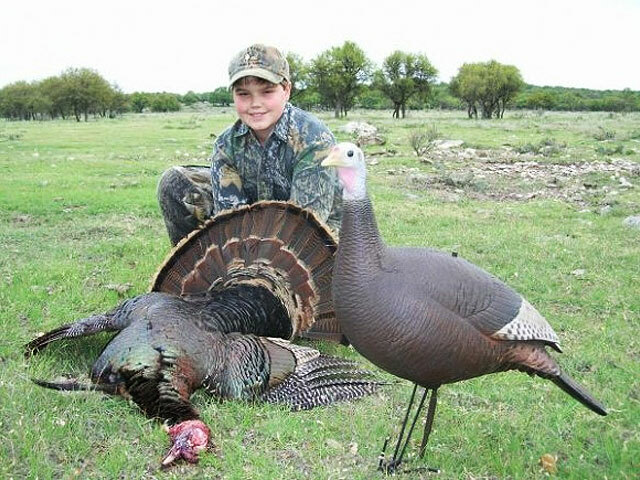 Hunters will be shown the roost sites, travel corridors and places where they see turkeys strutting and feeding. Blinds will also be in place at some of the frequently used travel corridors. 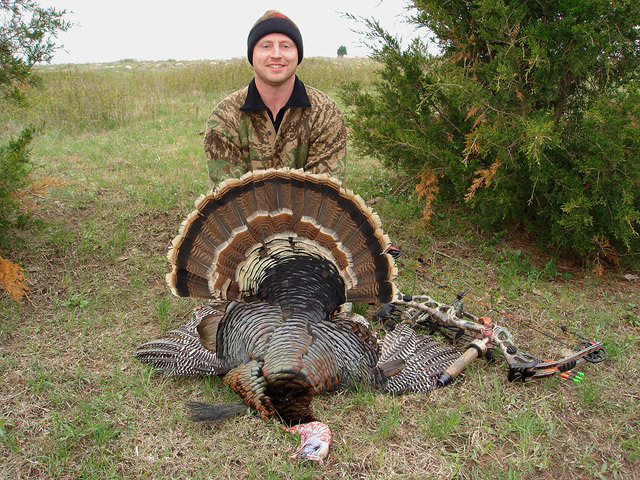 Spring turkey licenses (License #118) are available after February 1. The cost is $126 and includes four Rio Grande turkey tags. The season runs March 18 – May 1. Hunters may shoot any hog they see for no extra fee. The ranch does not have a lot of hogs but there are always some there. A 5 Day Special Hunting License (License #157) is required to hunt hogs - the cost is $48. Lodging is provided at the ranch. Amenities include WIFI, big screen TV and shuffleboard. Includes meals, lodging, tactical input from outfitter, in-field transportation. Airport pick-up and drop-off can be provided for $150 round trip to the Corpus Christi airport. A maximum of 2 hunters taken per hunt. 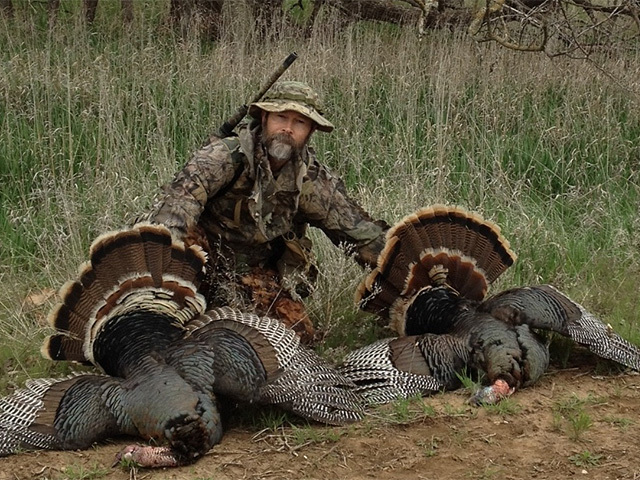 This outfitter leases over 30,000 acres for his deer and turkey hunts. Location is the southern Flint Hills of Kansas in the western part of Turkey Management Unit 6. 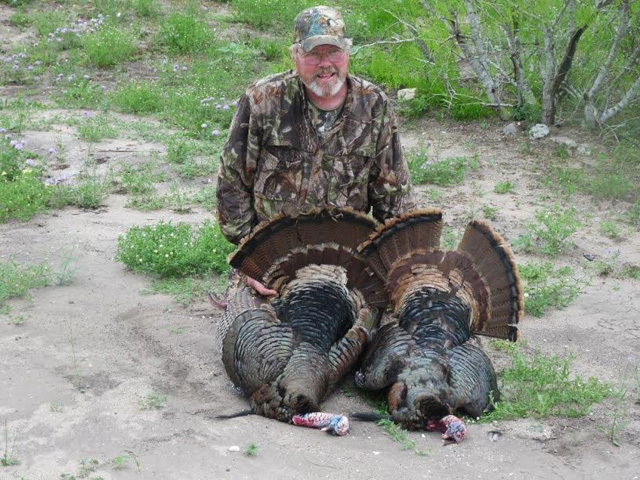 The majority of the turkeys here are Rio Grande but there are some Rio / Eastern hybrids. This is a fun hunt not only due to the high number of turkeys but due to the open terrain which makes the turkeys visible. 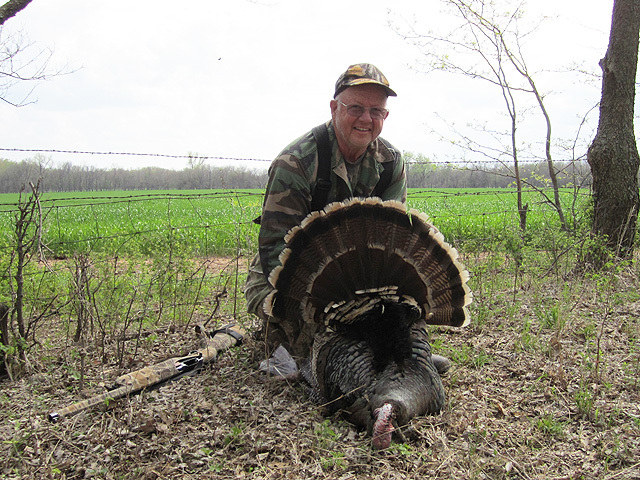 Woodlots and brushy draws provide enough cover to get the hunters into a good calling position. Past hunters have experienced a 100% shot opportunity. 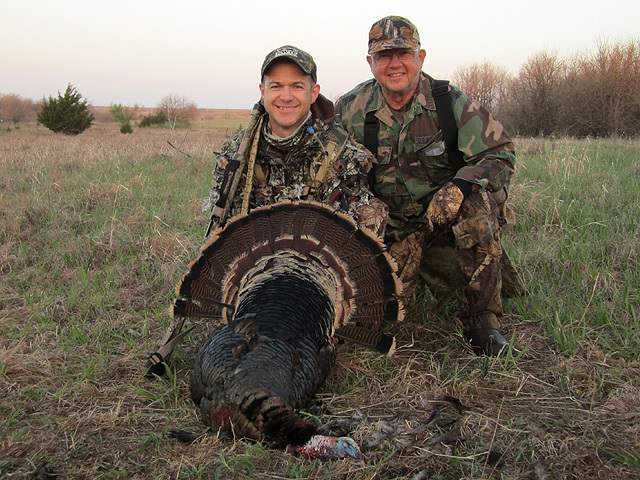 Kansas law allows harvesting two gobblers on the same day. A guide will accompany and assist the hunters but the hunters can do their own calling if they choose to. This is fairly easy terrain to traverse and the guides will tailor the hunt to your physical ability. 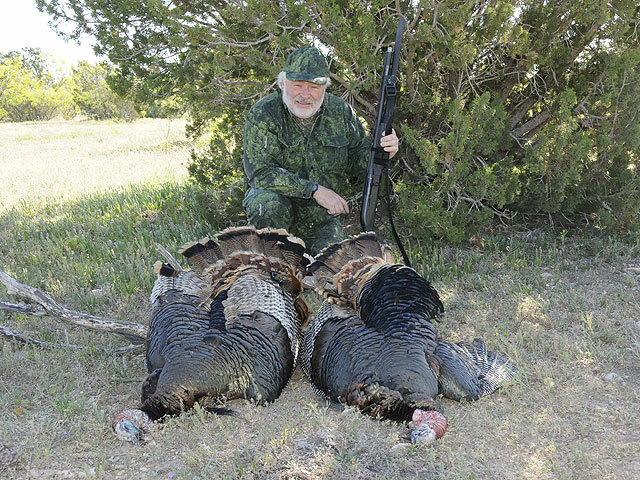 Guiding is included and is done 2 hunters per guide. Hunters booking alone will be paired with another hunter unless no other hunter is booked during that time period. The guide will pick up the hunters before dawn and take them afield. Hunting typically commences around 5 pm to allow the birds to return to the roost areas. Also included are in-field transportation, noon meals and beverages during the hunt. Lodging, breakfast and evening meal not provided. Turkey permits are not valid for 12 hours after purchase. Season dates are the second Wednesday in April through May 31. 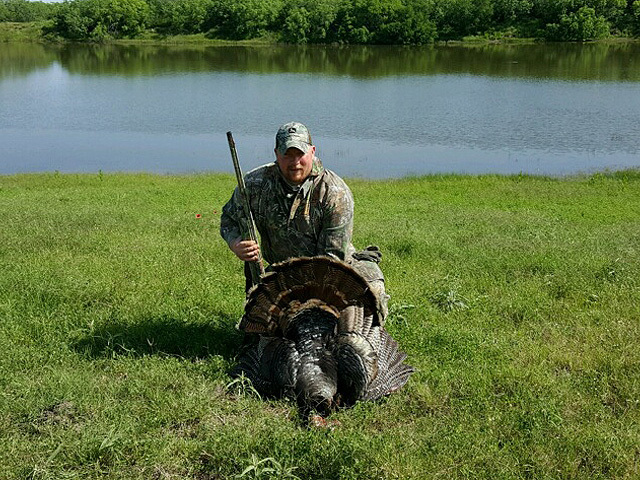 Hunters are required to buy a non-resident hunting license ($97.50) and a non-resident turkey permit ($62.50 one bird) for Unit 6. Hunter’s doing a two bird hunt need to buy the non-resident hunting license ($97.50) and a non-resident Combo permit/game tag ($87.50) which provides two tags. 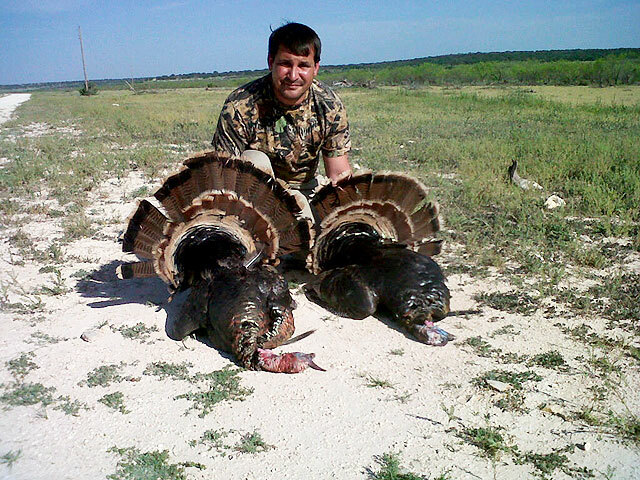 The deadline for the spring turkey combo permit is March 31. 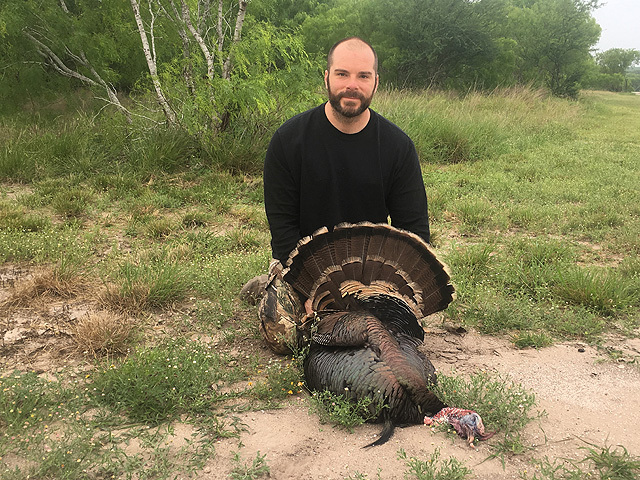 After March 31, hunters doing a two bird hunt need to buy a non-resident turkey permit ($62.50) and a non-resident game tag ($32.50). License and permits are unlimited and available via phone or at vendor locations - no online sales. 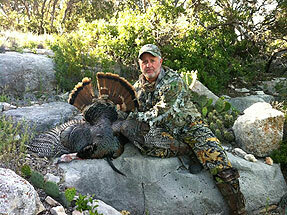 Located in southwest Texas, this outfitter has a long history of providing an excellent hunt for Rio Grande turkeys. They have over 40,000 acres consisting of multiple properties. 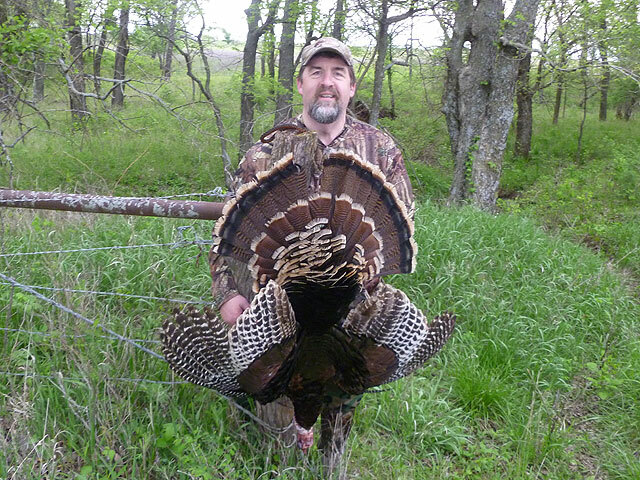 Turkeys are not “second fiddle” to whitetails here and are managed just like deer are. Once the management objective is hit on a property, it is closed down for the year. Only mature toms may be harvested. 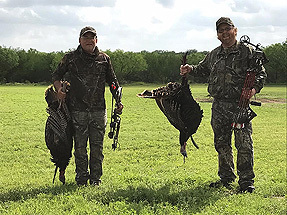 This hunt is a great choice for those that like to cover some ground and run-n-gun or for those that prefer to practice more patience and be less mobile. Blinds are available for those desiring to use them. Guides are provided and there are normally 3 hunters with a guide. Each guide has a designated hunt area and is very familiar with the property and where the birds roost, water and hang out. Hunters normally hunt on their own and use the guide’s advice to develop a strategy. Additional guide assistance can be provided for those that need it. The hunt begins on the afternoon of arrival and ends on the morning of departure. This allows hunters to have an afternoon of hunting and to become familiar with their property prior to their first morning hunt. The bunkhouse has private rooms that sleep 2-4 and each room has a private bathroom. This hunt is a great place to take a group of friends or business clients. 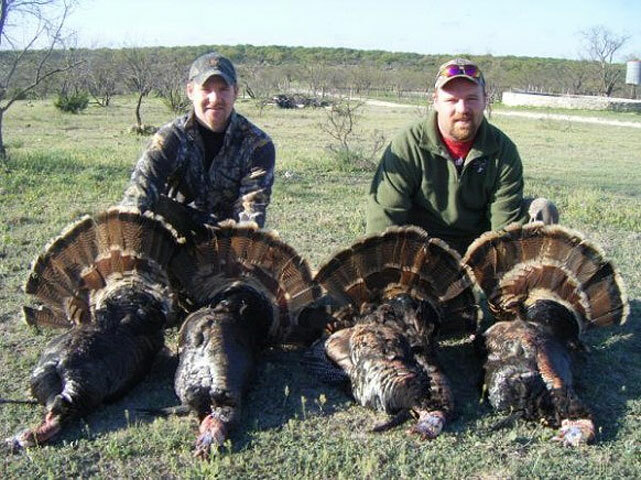 Hunt includes: meals, lodging, guide assistance, processing of turkey, airport pick up and drop off.